At Ryder, Mazzeo & Konieczny we work on interesting files with clients ranging from small start-up companies to large multi-national corporations. 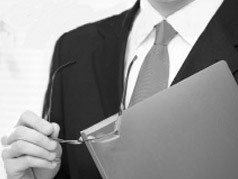 We have the resources of a large law firm while practicing in a more relaxed environment. Our firm provides the opportunity to work and learn with experienced IP lawyers, and offers excellent training, resources and a friendly and flexible working environment. Current Openings: We currently do not have any open positions.